The Queens borough of New York City was home to The Heartbeats, who formed in 1952 as The Hearts. First tenor Albert Crump, second tenor Robbie Tatum, baritone Vernon Sievers, and bass Wally Roker needed a fifth member, and they located a fine one in tenor James 'Shep' Sheppard, another Queens native born September 24, 1935. He would lead their ballads and write most of them too - including the one that became their signature song. When the female Hearts broke through in 1955 with Lonely Nights (see our previous volume), a name change was in order. A small adjustment to The Heartbeats fixed that. Roker finagled an audition for his quintet with honking saxman Illinois Jacquet, who channeled Wally to his trumpet-blowing brother Russell. He was in the process of starting his own Network label, and The Heart Beats (as the label spelled it) launched the firm with their Tormented b/w After Everybody's Gone, both penned by Sheppard. The Heartbeats seemed to have a thing about joining labels in their infancy. Singer Billy Dawn Smith, William Miller, and Bea Kaslin were just starting their Hull logo when The Heartbeats approached them. Shep and Miller split writers' credit on Crazy For You, the Sheppard-led Heartbeats ballad that launched Hull with a local hit in September of '55, (this compositional setup would endure for the rest of the group's Hull tenure). 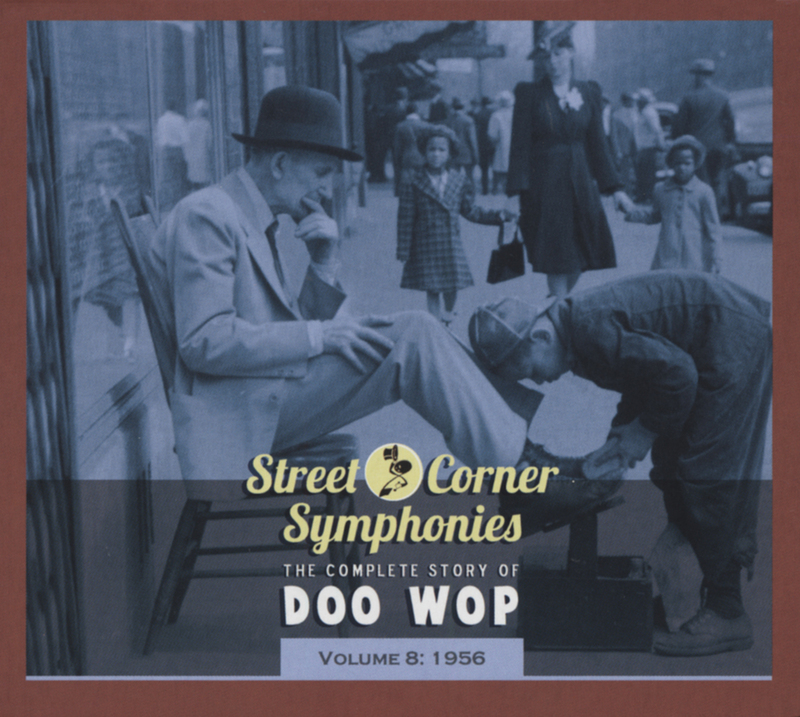 Crump sang the upbeat flip, Rockin-N-Rollin-N-Rhythm-N-Blues-N. Shep fronted their early '56 encore Darling How Long with a rocking Hurry Home Baby on the flip, and their next release that spring paired the ballads People Are Talking and Your Way. Al Browne led the band on all four numbers. Pining for a girl that had left New York, Sheppard wrote the immaculate ballad A Thousand Miles Away, The Heartbeats' next Hull outing. Cut in August of '56 it came out the next month with a romping Oh Baby Don't (largely a showcase for Roker) its B-side. A Thousand Miles Away was a landmark doo-wop ballad, Shep's goosebump-inducing lead buttressed by gorgeous harmonies. Concerned that Hull was too small to promote a surefire hit, Roker asked George Goldner to acquire the master for his Rama label. It resurfaced in November on Rama, shooting up to #5 on 'Billboard's' R&B 'Best Seller' charts and #53 pop. 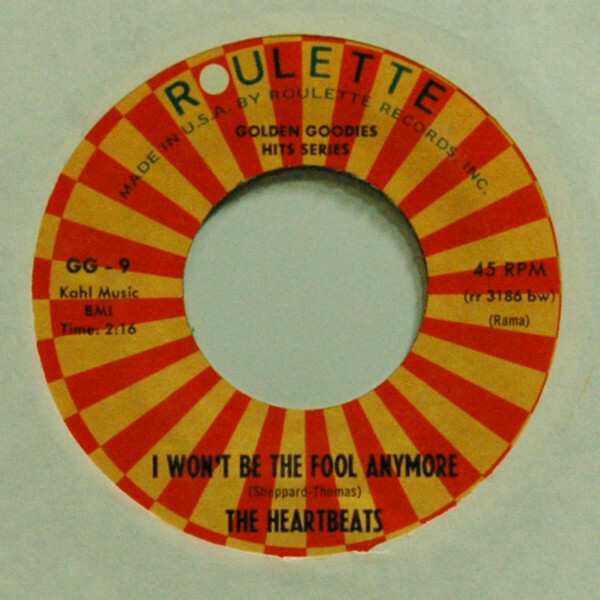 Despite a series of excellent 1957 followups on Rama and its sister Gee label - I Won't Be The Fool Anymore, Everybody's Somebody's Fool, When I Found You, the Thousand Miles Away sequel 500 Miles To Go - The Heartbeats couldn't repeat on the charts (they answered The Silhouettes in 1958 with their Roulette outing I Found A Job). After a last effort in '59 on Guyden, The Heartbeats called it quits, in part because of Sheppard's boozing. But Shep wasn't through. After a brief solo attempt as Shane Shep on Apt, he formed a new group and answered his big hit. Kundenbewertungen für "I Won't Be The Fool Anymore b-w Everybody Is Somebody's Fool 7inch, 45rpm"